Sometimes, the lives of DC Super Heroes aren't exactly triumphant. Whether it's not quite saving the day, not making the best out of an impossible situation, or simply being unable to keep things together under the stress of their own responsibilities, it's not all brightly colored costumes and biff-boom-pow. Tragedy is, unfortunately, just a part of being human, and a human connection is part of what makes heroes important, what makes them resonate. Of course, superheroic tragedies don't have to be entirely doom-and-gloom, either. That's where Identity Crisis comes in -- and it's a doozy. In the history of the DC Universe, "crisis" is a pretty loaded word. Traditionally, it means something that fundamentally shifts some part of the multiverse, whether that means bringing two teams from disparate Earths together to take on a villain or condensing all of reality into one isolated timeline. Every now and then, however, crises can get small, intimate -- they can zoom into things that change the heroes themselves, rather than the world around them. 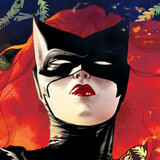 Such is the case with this week's much talked about Heroes in Crisis #1 (writer Tom King discusses it in this episode of DC Daily), in which more than one costumed champion falls to tragedy. And such was the case with 2004's Identity Crisis (which you can ready in its entirety here). The results of this event may not have been cosmic in scale, but they were earth-shattering. 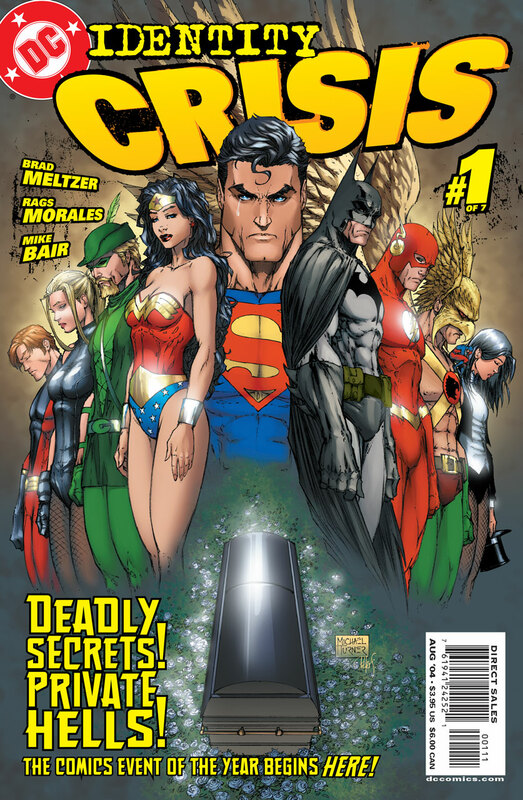 It'd be reductive to call Identity Crisis (written by Brad Meltzer and penciled by Rags Morales, with cover art by Michael Turner) a murder mystery, but that's how it began... The DC Universe is thrown into chaos after Sue Dibny is murdered, and things start to spiral out from there, as multiple, seemingly unrelated threats reveal a tapestry of lies and deceit hiding behind some of the most trustworthy members of the Justice League. 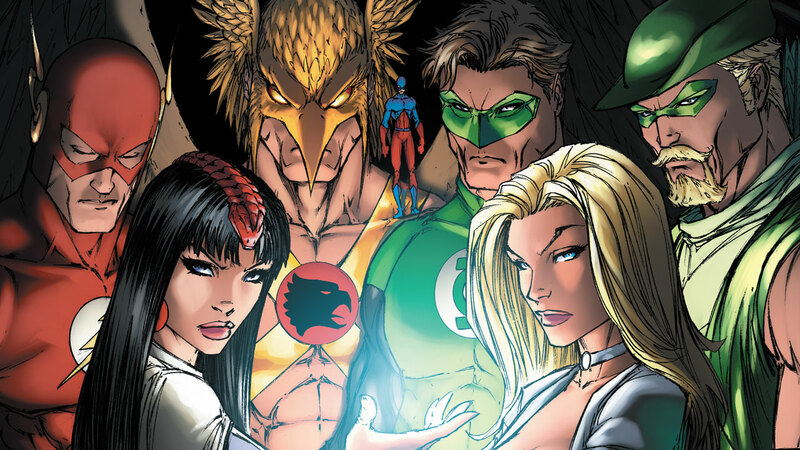 Secrets unwind involving Green Arrow, Zatanna, and Hal Jordan among others. The truth about villains like Doctor Light -- as well as the true cost of maintaining secret identities -- bubbles to the surface in ways that pose more questions than provide answers. And innocent bystanders like Jack Drake, Tim Drake's father, are put in the crosshairs of a deadly game they can't possibly understand. More than the mystery of it all, Identity Crisis forces heroes to look at each other in new ways -- not all of them positive. It's hard to grapple with the concessions that sometimes need to be made when the fate of the world is at stake. Sometimes lines that should never be crossed are strided over to create a bigger picture that may not be visible to everyone. Sometimes, that bigger picture ends up being the wrong choice after all. There's no shortage of collateral damage. The name of the game in this one is "consequence" -- consequences of secrets, of actions, of decisions made and forgotten. You name it. This is a story about the pendulum swinging back the other way and balances becoming, regrettably, painfully, due. Fortunately, while there's plenty of suffering to be found, there's also a reward. Or, at the very least, a moment of catharsis. If the Crisis events of previous years were all about trimming the cosmic fat of the multiverse to make for more efficient story engines, Identity Crisis was all about creating and draining some emotional wounds to make room for new and (eventually) stronger relationships. Identity Crisis is a story about testing the very limits of where those relationships can and should go. It allows for new chapters, not just for recent widower Ralph Dibny, but for the entire Justice League, for the Batman family, for the second stringers and D-listers. Screw-ups become heroes and heroes become monsters. Identity Crisis may not be the easiest read, or the quickest -- there's a lot to unpack and even more to process by the time it closes out its seventh and final issue -- but it's certainly a worthwhile undertaking, especially in the scope of the DCU's long and multifaceted history. 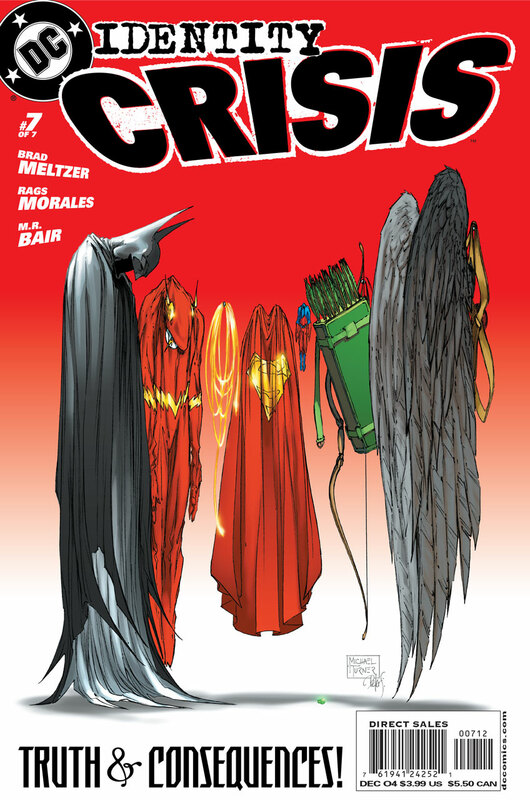 How did Identity Crisis make you feel when you first read it? Let us know in our Community.